Nothing says December Plant of the Month like a good 'ol holly plant. Nellie R. Stevens is a favorite variety for many reasons, its most noteworthy being its showy red-orange berries! 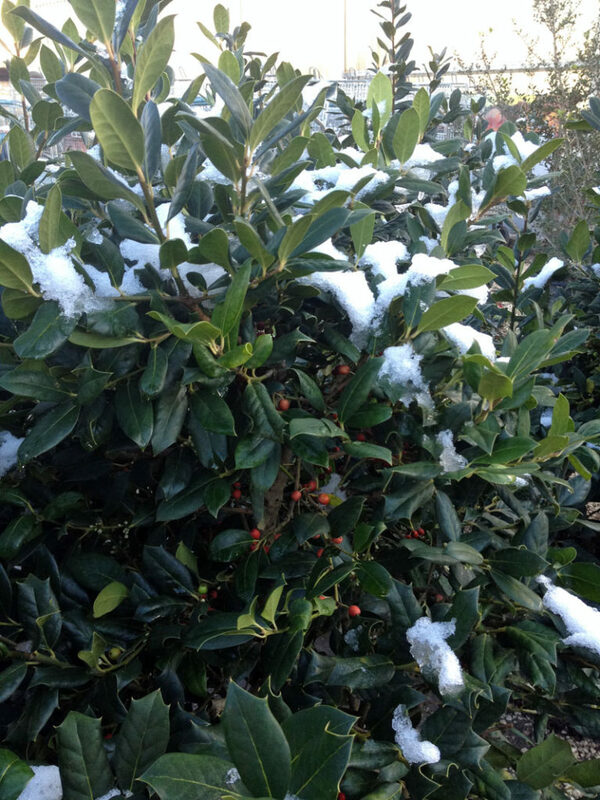 Nellie R. Stevens is a hybrid between English holly and Chinese holly. The garden that the original hybrid plant was produced in belonged to Nellie Robinson Stevens, a teacher and avid gardener. "Miss Nellie" collected the seeds of the hybrid, hence the name. A large evergreen shrub, Nellie Stevens forms a pyramidal shape with dense branching. The leaves are dark green and glossy, oblong and prickly, making them a good choice for security barriers. Deer don't care for the texture much either. Vigorous and fast growing, this holly can be used as a small tree, or planted in groups for screens or windbreaks. Give Nellie plenty of room, she grows to about 10 feet tall and 5 feet wide, sometimes larger. Small white blooms will appear in spring. In fall you'll start to see large red-orange berries. This holly is one of the few that does not require a pollinator to set fruit. However, like fruit trees, it will produce even more berries if you are able to find a male Edward J. Stevens Holly. Nellie R. Stevens hollies have pretty good heat tolerance and are drought tolerant once established. They prefer well drained soil and while rich acidic soil is a plus, it's not absolutely necessary for these hollies to grow. One of the great things about this variety is that it's low maintenance and keeps its shape even without pruning. If needed, prune in winter. Plant your Nellie R. Stevens holly in full sun to part shade and enjoy interest in your garden year-round! Join The Garden Center’s bi-weekly e-mail newsletter for gardening tips, new plant arrivals, sales info and exclusive readers only coupons! Shrubs & Perennials on Sale Now! 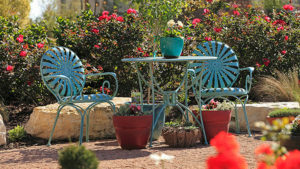 SAWS Watersaver Landscape Coupons are back!